Look what I got Hubby in celebration of his last day of class! This morning when he woke up, I surprised him with it! 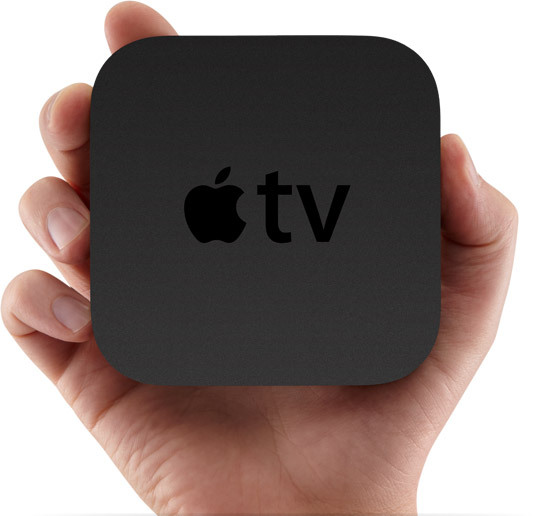 it's an Apple TV if you weren't quite sure of what it was by the photo. but nope, it's all hooked up and in use as we speak. Friends, I have a new bff. Betty Suarez aka Ugly Betty! Earlier last week I was looking for a new show to watch. Something kinda more girly, with a female lead and relatively humorous. Ugly Betty fit the bill. And I've been hooked. Already, I am nearing the end of season one. I've been a little distant from my blog lately. Sometimes there are too many things swimming in my head and heart that it's just too much for me to try to explain, or to pretend everything is peachy and calm and share shoes I've been lusting after on line. At some point I'll share my heart in this space concerning the secrets I currently hold within, but for now, I'll skirt around it. Sorry. Hubby and I are doing well. Really well actually. We fall more in love with each day, and he takes such wonderful care of me. I want to follow him and love him till the day that I die. And I have promised to do so, and will keep my word. Jesus is my Rock and I am thankful that He lives, so that I might truly live. Over the last couple weeks, my home has been filled with family and friends, yummy meals and silly games. We have entertained guests and had happy Hubby&Wife time. Both laughter and tears have taken over on different occasions and I'm finding something about all of this season to be important. What I face now, these moments and decisions and blessings, are all taking us somewhere. We are moving forward in this journey... not remaining stagnant and dull. The sun pours through the windows now and all is still. Birds sing and the leaves all dance in the gentle breeze... I think I'll go for a walk in a little while. Okay, and just to add a little flare to this post, I'll show you one pair of shoes I'd be thrilled to add to my closet. I used to have a very similar pair of wedges but sadly wore them out. Thanks for stopping by. And too thanks for all of the sweet comments that you dear friends have left me over time. I pray that you are all doing well today. those are cute shoes... i hope you start feeling all-better soon! super rad gift! no wonder he got on it right away, boys do love their toys and all ; ) awesome for you to find him the exact right thing and congrats to his last day! i haven't ever watched a full episode of that show, gotta get on it, many friends have suggested it too. yeah, get the hubby to give you those shoes! after all, you just got him the apple tv--awesome! it streams youtube videos which is even more awesome!! keep smiling lady, i think you're wonderful.